Jean has already written about the little battle between our fences and a thunderstorm but I wanted to add a couple of photos. We lost the wire in a few spots. It was aluminum and just melted away under the current. 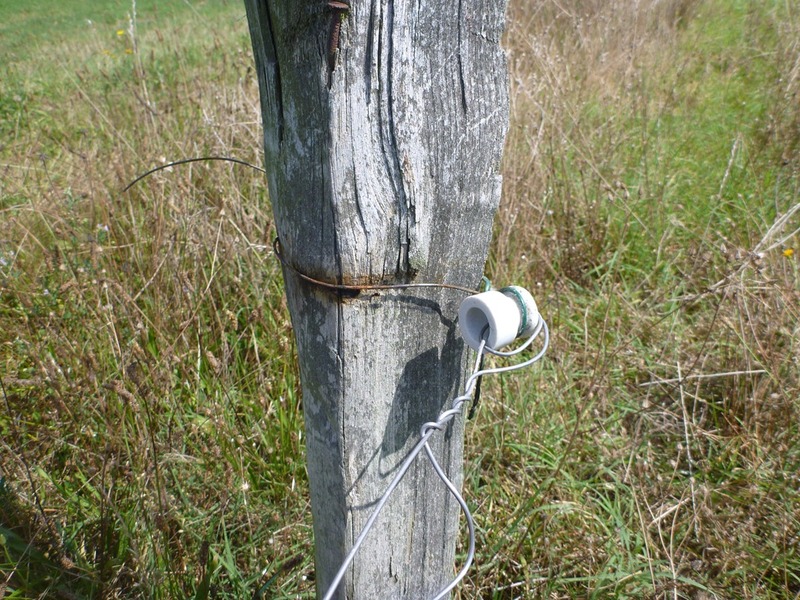 The steel wire holding the insulators on was burnt or damaged in several places around the fenceline, too. 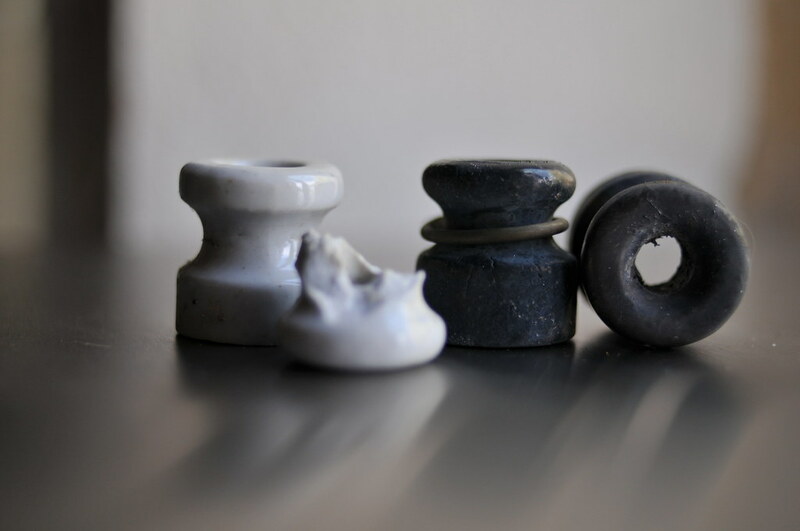 At the places where the wire was melted you could find the insulators on the ground. 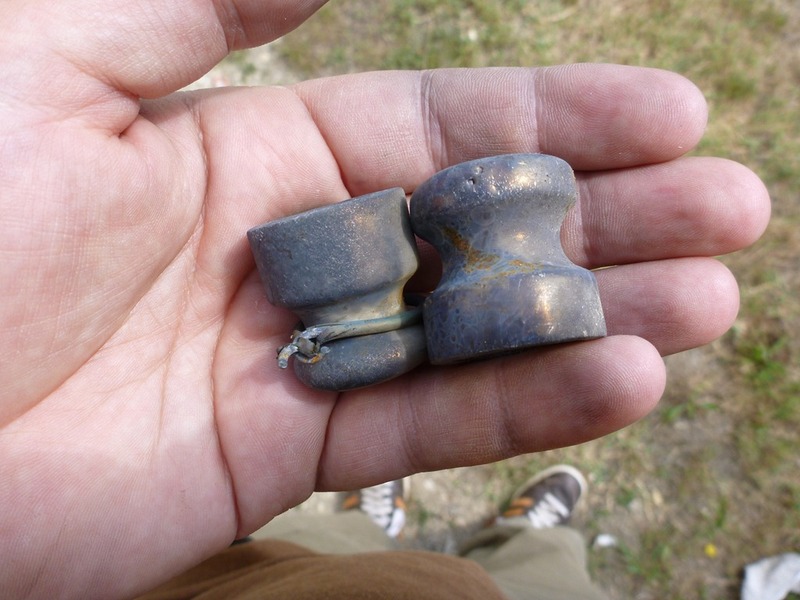 For one insulator the steel holding wire had melted through and the other had lost its wire completely. I think this is the story of what happened: a wild deer broke through the fence giving us a broken wire and a broken insulator. The wire dangled on the ground and when the thunderstorm came, the lightning used that dangling wire as a quick path to earth and melted a length of our fence. We already know to not use aluminum wire where there are wild animals, since they can break it. I have been too slack to get around to replacing the wire on that paddock – there’s about 3km of wire there! Wow! That was some lightning! Glad no animals were hit–fence can be repaired! I’ve been out of it for awhile with hurricane refugees here and a crisis going on at the same time, so I came on here to catch up. I followed your link to Jean’s blog which somehow I’ve missed up till now. I loved it, so I went back to the beginning and read it all the way through! Such great fun reading it–I love her point of view!